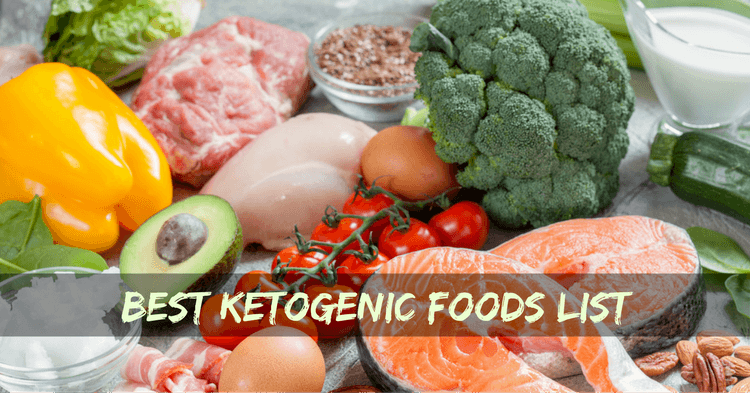 Ketogenic diet foods are very low carb, low protein, and high fat. This restricts many of the foods you are probably used to eating. Specifically, you aren’t going to be allowed to eat grains, almost all fruits, and even many vegetables. Don’t worry though – there are still plenty of tasty ketogenic diet foods that you can eat. Ghee is a type of clarified butter that is commonly used in India. The process of making ghee involves removing almost all of the carbohydrates and proteins in the butter. Most diets would restrict bacon because it has too many calories and fat. However, those diets leave you feeling starved and deprive you of energy. The fact that most of the calories in bacon come from fat is what make it one of the best ketogenic diet foods. Just be careful when choosing bacon or other cured meats. They often contain many additives and sugars and these must be avoided on the keto diet! Lard has recently made a huge comeback, especially as we now realize that low-fat diets cause health problems and fat doesn’t actually cause heart disease. Unfortunately, finding real lard can be a tough challenge. You are unlikely to find it sold in typical grocery stores. Try shopping online or at Hispanic grocery stores, asking your butcher, or making your own lard. Because of these differences, you should really work on incorporating both tallow and lard into your ketogenic diet. One of the great things about the ketogenic diet is that you don’t have to give up your coffee. You can even still use heavy cream in the coffee. 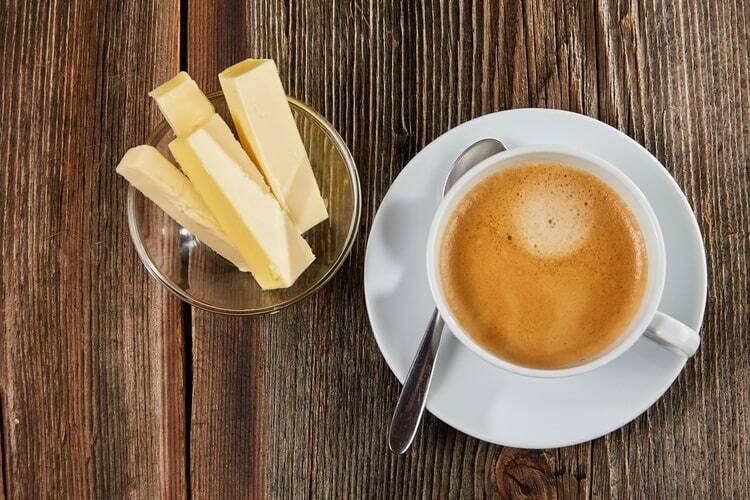 Many people make use of their morning coffee to help induce ketosis. They do this by adding a scoop of coconut oil to the coffee. The extra fat helps balance out any carbs which you eat throughout the day. You can use other oils to make Bulletproof Coffee for the keto diet too. Macadamia oil and hazelnut oil are good choices because they have a nice flavor. As far as protein ketogenic diet foods go, fish are recommended because of their high amounts of fatty acids. Mackerel is the best choice because it has the highest fat content and no carbohydrates. One of the places where many people go wrong with the ketogenic diet is eating too much meat. While virtually all meat is allowed on the keto diet, it is high in protein. Protein can turn into glucose in the body – thus preventing you from reaching optimal ketosis. When choosing meat, opt for high-fat options. Compared to poultry and beef, lamb is a good option. There are many nutritional benefits of lamb, such as being high-fat, rich in Omega 3 fatty acids, and a great source of nutrients like B12, iron, and zinc. Dairy foods are high in fats, which make them ideal ketogenic diet foods. However, many dairy products are also high in carbohydrates. So, you will have to be careful in choosing dairy products. As a general rule, most young cheeses are suitable for the keto diet. You can also eat dairy products like cream cheese, cheddar, Greek yogurt, and cottage cheese on the ketogenic diet. However, these products are higher in carbohydrates so need to be eaten in moderation. When it comes to fruits and vegetables, the ketogenic diet is very restrictive. There are very few fruits which can be eaten and even vegetables have high amounts of carbohydrates. However, fruits and veggies do contain important nutrients which aren’t always available in other foods (such as certain antioxidants and vitamin K). Thus, you should make a point to include them in your keto diet plan. Focus on dark, leafy vegetables as these are nutrient dense but low-carb. 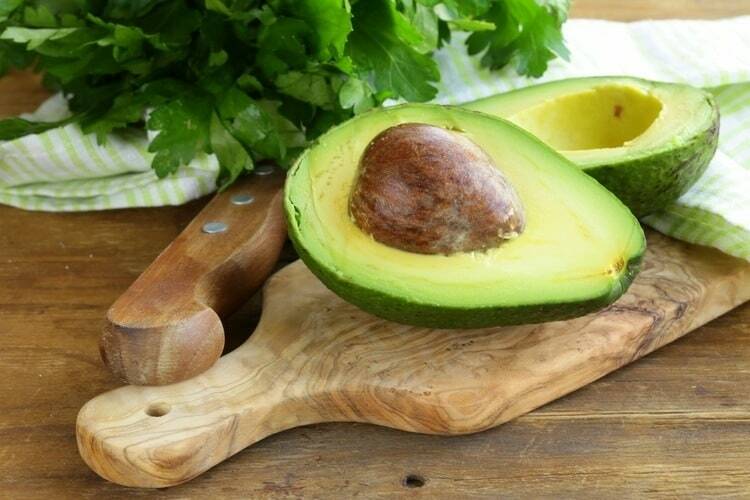 Even though avocado is a fruit, it is very high in fat. Most of the carbohydrates it does have are from fiber. Thus, the net carbs of avocado is very low. To enjoy avocado on the keto diet, try mashing it up to make spreads for meat or fish. Nuts are very high in protein and carbohydrates, so should be avoided on the keto diet. However, it is hard to give up these foods – especially when they can be used as garnishes to add crunchiness to dishes. Another use for macadamia nuts on the keto diet is to make flour. You can buy nut flours in specialty stores, so you can blend them up yourself. If you have to eat nuts, opt for macadamia nuts as these have the best fat to carb ratio. Pecans, hazelnuts, and Brazil nuts are also good choices. Avoid nuts like peanuts as these are high carb and also have poor Omega 3 to 6 ratios. One problem with ketogenic diet foods is that they lack flavor. Unfortunately, herbs and spices do contain carbohydrates. Even when used sparingly, carbs from seasonings can add up quickly. A solution is to add fresh basil to meals. Basil packs a huge flavor punch but is very low in carbs so won’t make too big of a dent in your carb count. It is very important to stay hydrated while switching to the ketogenic diet. Many people end up with the “keto flu” because they aren’t getting enough electrolytes and become dehydrated. Almost all fruits are off-limits on the keto diet. They simply contain too many carbohydrates and could prevent your body from reaching ketosis. However, if you are craving something sweet, blueberries are one option. Compared to other fruits, blueberries contain few carbs. You’ll still need to eat them in moderation. Or, try balancing out the carbs by eating them with fat. A really tasty keto-friend dessert is blueberries mixed with coconut cream. It isn’t enough to just look at a list of ketogenic diet foods and eat these. In order to induce ketosis (and put the body in a state of maximum fat burning), you must eat keto foods in the right proportions. For example, fish is considered a ketogenic diet food. However, if you were to eat a lot of fish, you would have too much protein. The body readily converts excess protein into glucose, so you wouldn’t be able to reach optimal ketosis. How does this break down? On a 1600 calorie diet, you would have consume 136 grams of fat, 74 grams of protein, and 20 grams of net carbs. Rather than calculating how many grams of each nutrient you are eating, a simpler way to eat ketogenic is to add more fat to your food. For example: Instead of just eating fish for dinner, drizzle macadamia oil over the fish. This increases the amount of fat in the meal and makes it more keto-friendly. One way to measure your progress on the ketogenic diet is to measure your ketone levels. High levels of ketones indicate that your body is in a state of ketosis and burning fat for energy. There are urine strip tests available for measuring ketones, but these are highly unreliable. A better option is to buy a blood ketone test. These are affordable and you only need to prick your finger. You get results in a few seconds. Over 3: These levels won’t necessarily help you burn fat better. Often, ketone levels this high indicate you aren’t getting enough food. Don’t stress too much about achieving “optimal ketosis” though. 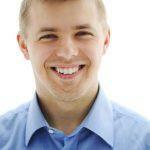 What is important is that your body is generating ketones. The ketones are what indicate that your body is burning fat for fuel. Studies such as this one have shown that even low amounts of ketones can suppress hunger. So, do your best and focus on eating the highest-fat, low-carb ketogenic diet foods you can. Thanks for this post 🙂 gives me idea for new recipes to make since I’ve been low carb for months now!